Lend "green" appeal to commercial design with the Brockton Modern Fiberglass Planter. This 60"L garden box is handcrafted out of quality-grade materials and designed for lasting outdoor use. Lightweight yet durable, containers take on an engaging textural look akin to stacked brick or stone. 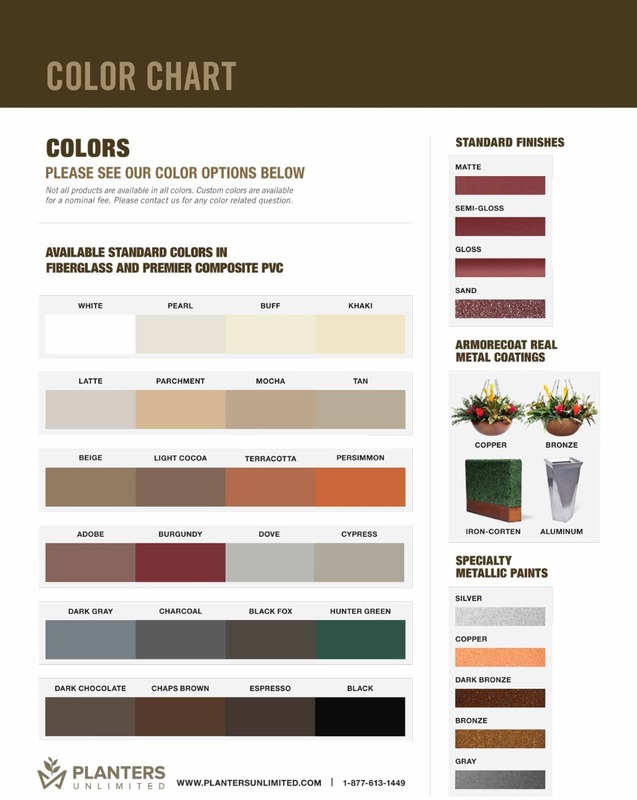 Round out the desired effect with a choice of 4 finishes and more than 25 attractive colors. Container gardening in fiberglass is easy with no additional lining required. Exterior planters will not rot, crack or split, and insects tend to leave the material alone. And for interiors, fiberglass looks polished and chic in any lobby, meeting room or rotunda, whether classic or contemporary. Have a custom project? Let us know - Planters Unlimited partners with landscape architects, interior designers and property owners to execute premier container gardening solutions.